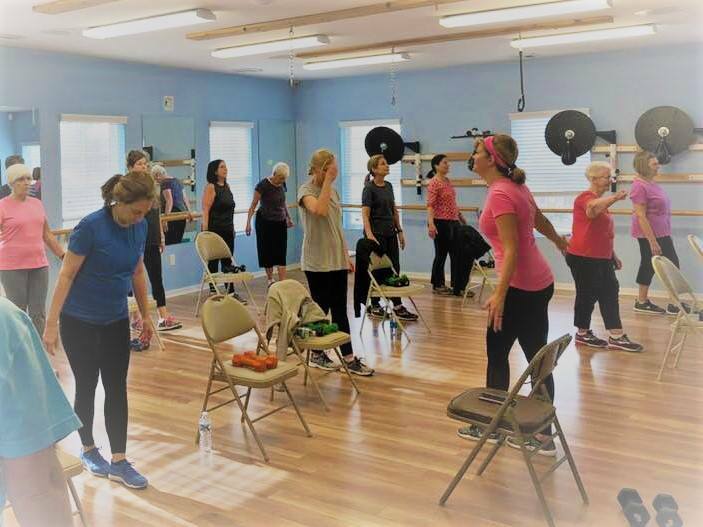 Better Balance Wednesdays- 9:00am Instructor: Lori W.
This class combines exercises to improve strenth with those which challenge your balance. This is a beginner-friendly class, as modifications are offered for those who may need more help. Participants will be standing for the majority of the class however and should be able to perform short bursts of cardio exercises in between sets. 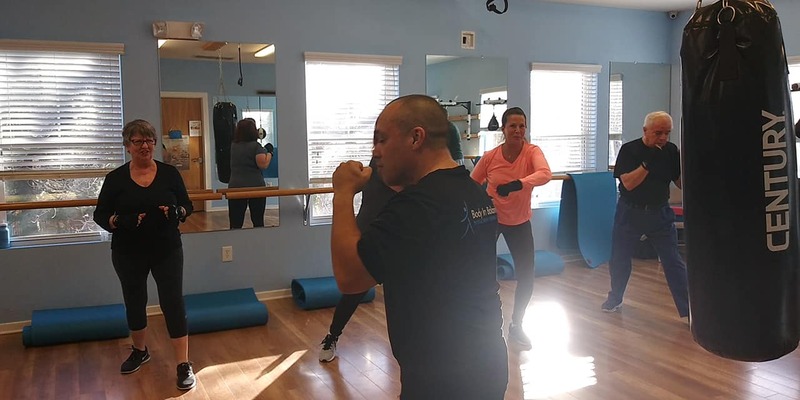 Class starts with a short warm up followed by several rounds of exercises, some seated abdominal exercises and ends with some gentle stretching. Exercises are also offered for participants to continue at home to increase their balance and reduce their fall risk. Move It! 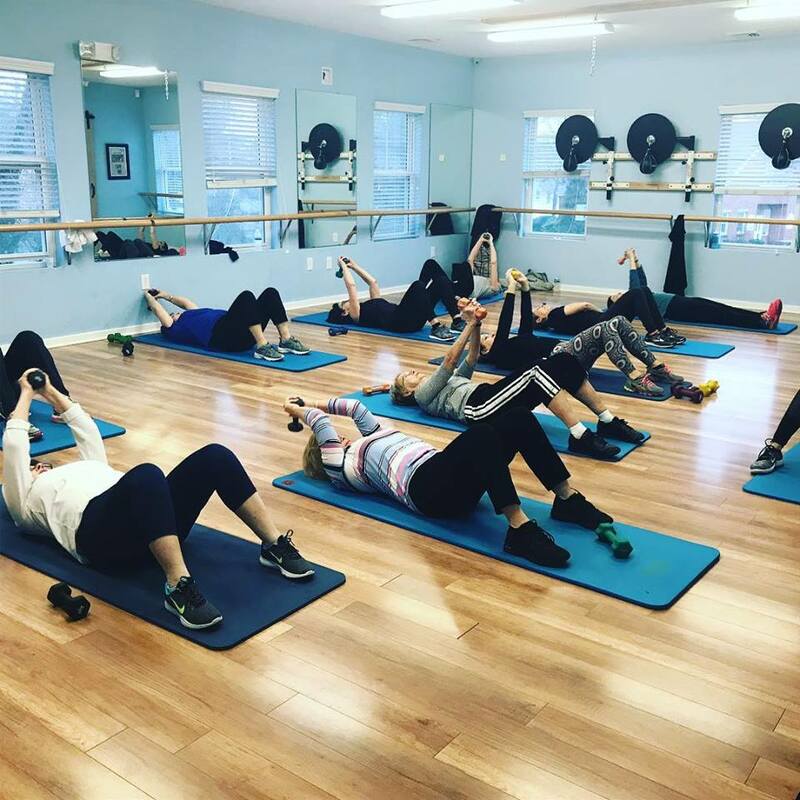 | Mondays/ Thursdays – 9:00am | Instructor: Michaelle C.
Full body workout using free weights and bodyweight with special emphasis on core strength. Participants will learn compound movements which combined with cardio exercises will increase heart rate and calorie burn! Total Body Tone Up Fridays- 9:00am Instructor Lori W.
A full body work out! Each participant will choose dumbbells that are appropriate for their own strength. In 50 minutes Lori will take you through several sets of exercises that focus on legs, back, chest, shoulders, biceps and triceps. A full explanation of each exercise will be given to assure participants are performing them correctly. After several rounds of exercise we will finish with a 5 minute ab workout. This class is great for beginners, but participants should be able to get up and down off the floor for mat work. Boxing Tuesdays- 9:00am Instructor: Jose M.
Overall conditioning workout for balance, coordination and core strength. Some abdominal exercises are done lying on mats. A great cardio workout that requires no previous boxing experience! This class is a mixture of yoga, Pilates, and ballet and is mellower. The instructor has a background in dance and years of experience and introduces dance movements to the class.